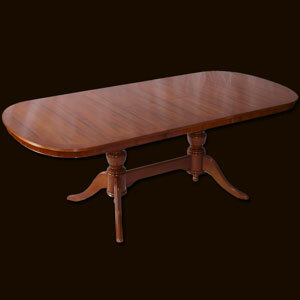 Click Here To View Wood, Finish & Glazing Options. Nicely proportioned reproduction bow front china cabinet features your choice of wood, shade, glass shelves, fitted light and mirror back. 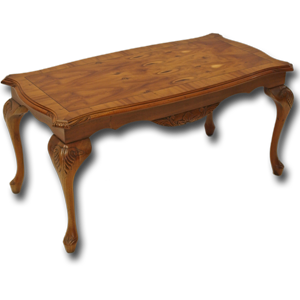 Queen Anne reproduction style long john coffee table with superbly carved legs and sides.Inlaid and cross-banded top completes the look. 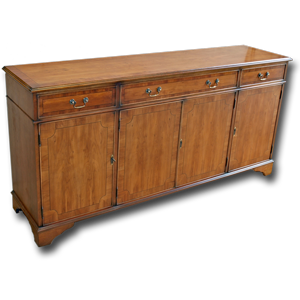 These fine reproduction sideboards are available with either bracket feet or a solid plinth.All sideboards feature adjustable internal shelves. We can also supply bespoke versions, built to your requirements - please ask.Superbly finished in burr walnut, mahogany, yew or oak and in your preferred shade and finish.